Verify that the selected DJ has an opening for you wedding date. This is a very simple task, but a surprising amount of couples forget to initially ask this question. It is also important to establish reputation: how long has he/she been in business? Are there other past clients willing to give references? How many weddings have they done? The cost of credibility is worth the reassurance received in return. Like cuisine, a sampling of what your DJ is serving helps establish whether you want to commit to the full course. Ask them to provide you with a mix tape showing the full variety of what they can offer. Video samples are also beneficial in providing a more intimate view of the wedding ambience. While trendy hip-hop beats or heavy rap may be temporarily appealing over drinks with friends, is this the type of vibe you want to exude in your wedding venue? Consider the experience you want to synthesise for all guests throughout all phases of the wedding party. A versatile DJ should be able to offer an extensive range of musical genres. Even with a task as care-free as hiring a DJ, you should still ask the necessary precautionary questions to make sure that everything runs smoothly. Some technicalities to consider: does the DJ in question have a wireless mic? Will they be toting back up equipment? what are the space dimensions required for proper set-up? How much time will be allocated for setup and break down? How many staff members will be present? And, of course, insure against the worst by having contact information of a backup DJ on hand in case of a last-minute cancellation. With these simple guidelines in mind, hiring your DJ should be as easy as dancing to the beats of your favourite song. 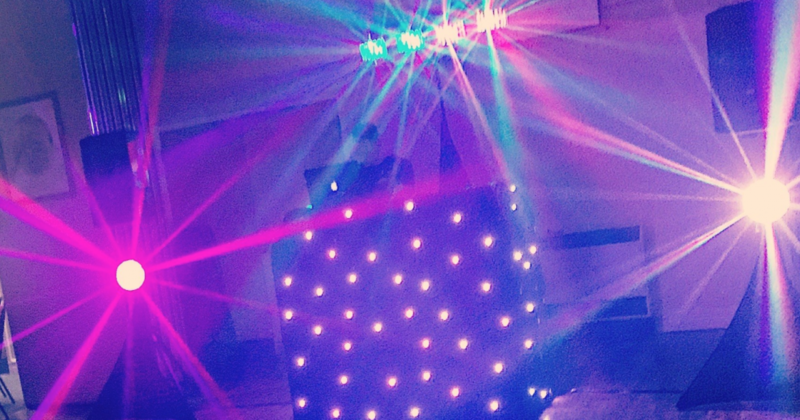 Make sure you choose someone who not only offers enough variation to suit every stage of the wedding event, but whose musical variation encompasses all of the joy of your wedding day projected on the dancefloor.